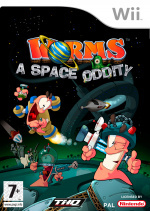 Even though the company previously announced that the upcoming Wii game Worms: A Space Oddity would feature online play, developer Team 17 has now retracted the statement and has confirmed that the game will not make use of Nintendo’s WiFi connection for multiplayer-related shenanigans. Worms: A Space Oddity is a social gaming experience that is best enjoyed locally, in a party-game atmosphere with other players. So basically online play was removed because the devleopers were concerned that you’re not seeing enough of your friends. More like they are too lazy to develop it properly. Bad move. Yeah, doesn't sound good really... changing your mind on something. Bah. As much as I love the Worms franchise this is dissapointing! They managed it for open warfare 2 on the DS, this feels like a step backwards! btw when does Team 17 ever make a new game? They're worse with capcom pimping out Street Fighter and its 200 versions.